Situated in the South of Hanoi about 90km, Ninh Binh belongs to the Red River delta that is now known as a huge tourism potential of Vietnam. This place is derived into two town as Ninh Binh and Tam Diep. This province has square of 1,400 sq kilometer. Let’s beginning with its geographical location. Ninh Binh is located at the boundary of three geographical areas: North West, the Red River Delta and North Central. There are 3 main kinds of topography consisting of limestone mountain, coastal area and the region of Red river delta, it can be said that this province is a little Vietnam. Affected by coastal climate, the average temperature is 23.4-Celsius degree. So the best time for travelling here is from November to April. Furthermore, in the pass Ninh Binh has a rich history story as an ancient capital of Vietnam in the 10th century. Thanks to its natural landscape and historical values, Ninh Binh today is becoming an ideal destination for tourism. 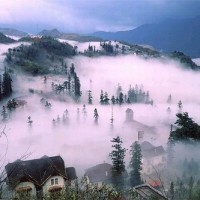 Firstly, it is the first imperial capital of Vietnam in Hoa Lu. Hoa Lu is a district of Ninh Binh and before 1010, it was a capital of Dai Co Viet. 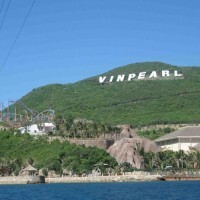 Now, people can see many monuments palaces, temples, tombs (Dinh- Le Temple). HoaLu Ancient Capital is known by some beautiful pagoda like Ngan Xuyen Pagoda, Nhat Tru Pagoda where attract many tourist take incense offering and visiting every year. The most interesting part of Ninh Binh province is Bai Dinh Temple, a complex of Buddhist temples on Bai Dinh Mountain. This Temple Spiritual and Cultural Complex is located at Gia Vien District. Many Vietnamese record established at Bai Dinh as largest pagoda in the South East Asia, number of huge Buddha statue, largest bronze Buddha… And in 2010, this site is also home to host the ceremony to welcome the relics of the Buddha from India to Vietnam. Every year,on the sixth day of the first lunar month, the big festival of Bai Dinh temple is organize with a huge visitors. 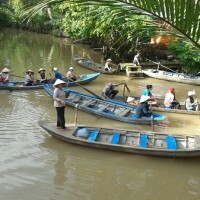 One more remarkable feature of Ninh Binh is the Trang An ecotourism. Far from Ninh Binh city about 7km, Trang An is approved by the Vietnam Government into the listing of Special National Site (Viet Nam). It is also considered as a Northern citadel of ancient Hoa Lu capital, including limestone system aged about 250 millions year of geology. Affected by a long time, earth’s climate change, phenomenon of marine transgression- marine regression…, hundreds of valleys, caves, lake was appeared here. 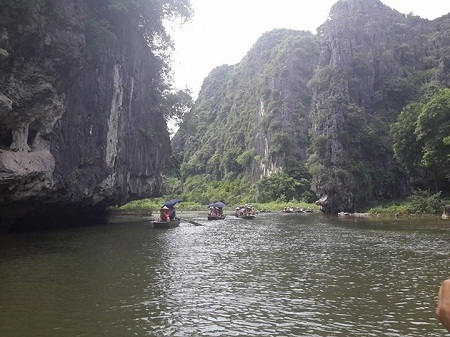 With the cultural and natural value, now a day, Trang An Eco Tourism complex (collecting of Hoa Lu Imperial, Bai Dinh Temple, Tam Coc – Bich Dong) is becoming a well-known destination as a “Halong Bay on land”. 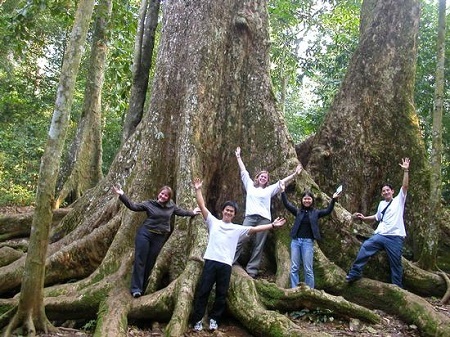 Beside, for natural lover and adventurer, Cuc Phuong National Park is really a first choice during their journey. It is the first National Park established in Vietnam, situated at 45km Northwest of Ninh Binh city. It is considered as a huge natural museum where is storing a richest flora and fauna system of Vietnam. People can join in adventurous activities like biking, trekking, climbing… Cuc Phuong is more beautiful in dry season without rain forest, from December to April. Another site tourist may be interesting in is Phat Diem Stone Cathedral which was built between 1875 and 1899, located in Kim Sơn District, 28km southeast of Ninh Binh Town. As a famous and beautiful church in Vietnam with special architecture, so Phat Diem Stone is the Catholicism’s center in North Vietnam. Not only that, some others scene as Kenh Ga hot spring, Van Long Nature Reserve…are also in top-rated beautiful landscape in Ninh Binh, it will bring more travelling experiences in Ninh Binh. 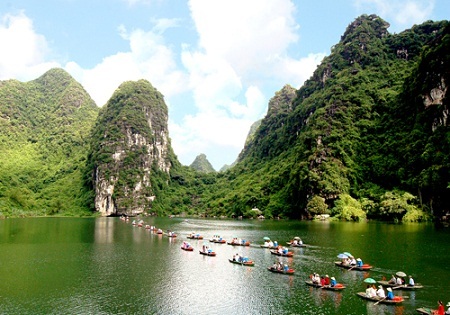 On the other hand, Ninh Binh is not only famous for its natural, but also for its specialty. 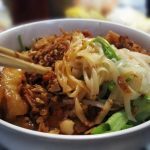 The first mentioning is delicious dishes made from goat. The goat meat in Ninh Binh is different with other region. It is excellent and high recommended. Moreover, passing Ninh Binh Province, tourist can enjoy or buy as a gift to bring home a special dishes named burned ride. Its taste is so special. Furthermore, wine sticky Kim Son is a high quality product that made Ninh Binh is more popular. It can be said, thanks to natural to give Ninh Binh province a lot of colorful landscape with a cultural and spirituality values, now a day this area is more and more attractive site for foreign and domestic tourists. 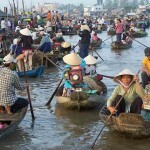 It is a precious potential for Vietnam tourism industry in the future.